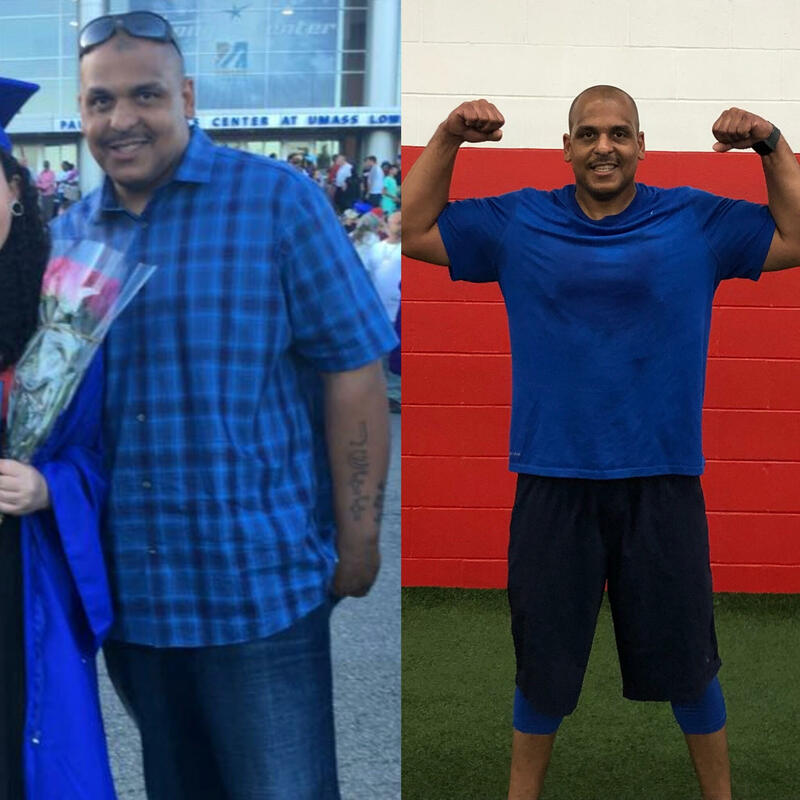 How Jeff Lost 35lbs with DSC's Nutrition Coaching Program! Before the DSC Nutrition Program, I really did not ever have a set program and tried many different ways that I thought were the right “way of eating”. I would mainly look for those sugar fixes with cake or my poison of choice M&M’s when I was feeling tired or needed that so called “rush” prior to working out. Life changes, lifestyle changes, children, eating quick when you have all these different things going on daily and the killer four letter word "WORK" just seemed to always get in the way of bettering my health. One of my main goals when joining was to get a real understand of when and what to eat. I wanted to figure how and why my nutrition could make an impact on my weight lost and muscle gain. I started to notice the struggle on eating and getting the most out of my workouts so I figured let’s give it a go. It was tough at first and I felt like I was overthinking all the info and thought to myself, "I’m never going to meet these goals week after week! Plus how would I quit my sweet tooth?" Now to back up a bit before I start my success with this program, my overall health was not 100%. I have chronic Asthma or should I now say.... I HAD chronic asthma!! I’ve noticed a big change in my breathing. In fact I have now started running again which I didn’t think I’d start enjoying like I did when I was young. Thanks to the coaches and the DSC family members sharing their stories, struggles, and suggestions I finally got in the positive mindset to get this right!! Once I started eating right and getting my 4/5 days in at the DSC workouts, I started to feel confident in my ability to keep pushing myself. The Nutrition program then started to just go hand and hand with my workouts! My energy started to increase, my confidence started to build when pushing my body more, and I started feeling stronger. Big shoutout to the DSC Nutrition Coaches, Beth and Tommy for doing such an amazing job! They made the nutrition topics extremely easy for me to understand. I CAN still have my cake and eat it too (as long as I log it and it fits into my daily tasks.) And trust me Beth sees my logs and sees my cake, M&M’s etc. With the coaches guidance, this program is doable for everyone! Even with a sweet tooth like mine! I’m now down 35lbs and 2 pants sizes! The part of the Nutrition Coaching Program that made the biggest impact on me was the pre and post workout meals. I honestly think everyone should give this program a go!! If you're looking for weight loss, muscle gain, toning, or just to learn about healthy eating to help with energy and mental clarity this is 100% worth it! I’m forever grateful and I feel great!! Thanks Matt for pushing me to write this! And again, to all the coaches at DSC who help us all and everything you guys do daily to make this gym unique and a true family.